This week millions of young people are gathering in Panama to celebrate World Youth Day. This amazing event happens every 2,3 or 4 years and tends to alternate between a venue in Europe and one in the America’s or Asia. 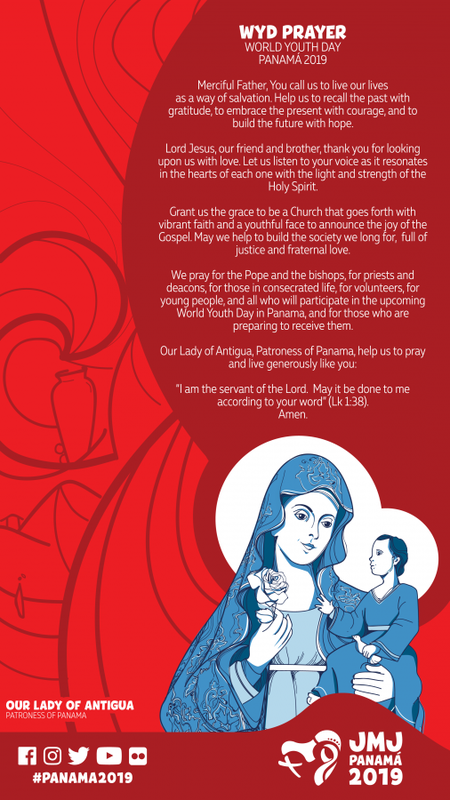 Whilst the Clifton Diocese is not attending WYD Panama, we can join young people from across the world in prayer and through Salt & Light Media to keep up to date with what’s happening. It is an important time for young people in the Church and the recent Synod has highlighted the need for parishes to engage with their young people. The Vigil and closing Mass is when the Holy Father will announce when and where the next World Youth Day will be. Plans are already in place for young people from the Clifton Diocese to attend the next World Youth Day so keep checking back on our Youth Ministry pages for more information! We encourage you to pray the World Youth Day prayer during this week and to pray for all the young people of our diocese and the whole world.